I got this message after I logged into my upwork account today. As you can see they suspended my account. I went through their Help center and couldn't find the reason for suspending my account. Last month Upwork had sent me a mail asking to verify my account using video chat. I went ahead and verified my account with a video call from one of their representatives. Freelancer.com also follows such steps to ensure users are legit. So I did comply with their policies. Soon I received a mail stating that my profile is active now. So I checked my mail. And here is what surprised me. What I understand from this mail is that Upwork does not want anyone who's not getting a project on their site. I have been freelancing since a long time. I was even doing full time freelancing and have a Preferred Freelancer.com Account. 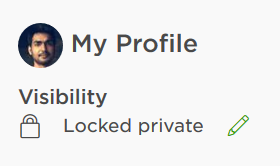 They even locked my profile visibiity. Stating If I do not get paid for a while, my profile gets removed from the public listing. You can keep my profile on the last page, I do not mind that. But why to remove a freelancer where he can potentially be contacted by an employer. Whenever I contact Freelancer.com Support team, they are quick to respond. They open and resolve tickets in 1-2 days. But Upwork has made it so clear that I see no purpose to contact their support. Let me know in the comment below. Your thoughts on this. Thanks.